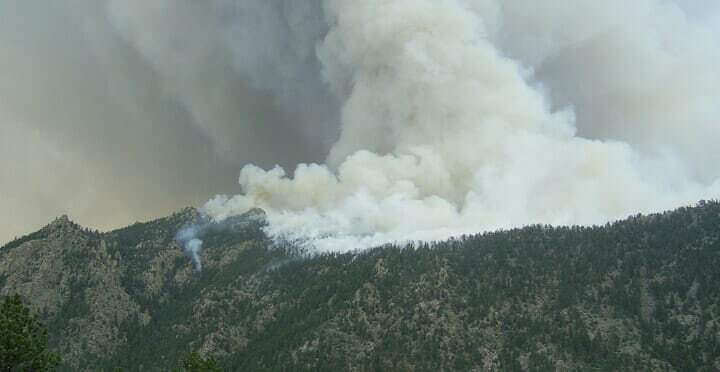 There are so many forest and wild fires in Colorado right now. It’s really quite scary. Betsy and I are lucky to live in a desert so the chances of their being a raging fire near us is pretty small although there were a few small wildfires over the last few days. Thousands of people are having to leave their homes and might lose them and it doesn’t look like firefighters are going to them fully under control any time soon even though they are working their butts off. Turns out that if Mother Nature wants to burn things, then things will be burned. A little rain wouldn’t hurt either. Let’s pick something to kill the heat! Stay cool this weekend everybody. We use to live in Colorado Springs and I have friends and family there. Several have been evacuated both not being able to go to work and from their home. My one friend works for Hewlett Packard and they have shut down for now. They have posted pictures and it is scary stuff. I was born and raised in California, where it seems the whole state burns down every Summer. It can be very scary. My boyfriend and I have been dreaming of moving to CO (we currently live in hot, sticky Houston area) for a while now, so we’ve been watching y’all and hoping that everything calms down soon. Keeping my fingers crossed for you! I have watched poor Colorado burn. I’m glad you are in a safe place. My heart goes out to all who have lost or will lose their homes. We suffered a similar fate here in Arizona last summer. Sad, very sad. I lived in an area of California, before moving to Tucson, where there was a chance of burning every summer. I was glad to move away from all that. i was going to ask if your home is in the fire-burning zone. I feel for you guys there. Please stay safe and take care. I just received a French press coffee maker for my birthday, and I specifically asked for it to make cold-brewed coffee. So back to macheesmo I came for the recipe, and then to catch up on a couple weeks of posts I’ve missed. Sure enough, there was the re-post waiting for me – just two hours after I went looking for it for myself! Keep up the good work, Nick.